Nasal breathing delivers approximately 70% of airflow to the lungs. More than 20 million Americans are estimated to suffer from nasal airway obstruction (NAO), which limits airflow through the nose with significant quality of life consequences. 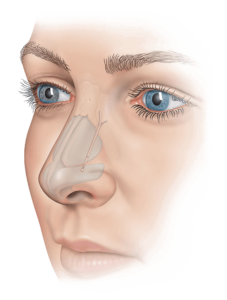 The technology is intuitive to learn and use, and is delivered inside the nasal wall by ENTs or plastic surgeons. LATERA supports the upper and lower lateral cartilage by anchoring above the maxilla to provide cantilever support.